One of the most important things I can stress is that beauty starts from within. As part of my holiday prep I have been taking two supplements to support my skin health from within to ensure I feel my best for going makeup free on the beach. 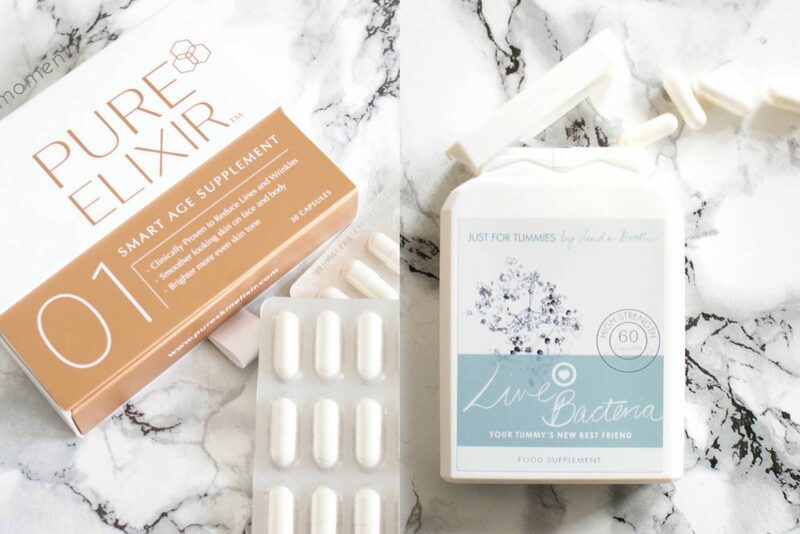 Pure Elixir 01 Smart Age Skin Supplement and Just For Tummies Live Bacteria Probiotic Supplement, both available via MyShowcase. I have been taking Pure Elixir 01 collagen supplement for nearly 4 weeks and it is INSANE (I would recommend trialling for 8 weeks minimum to get the best results)! My skin has plumped up so much from it. After the ripe old age of 25 the collagen in our skin starts decreasing by 1.5% a year, the reduction of collagen causes an increase in wrinkles, fine lines and dry, blemished or thinning skin. Pure Elixir 01 is a carefully selected mix of Marine Collagen, soy isoflavones, vitamins C and E, Hyaluronic Acid and lycopene, that is CLINICALLY PROVEN to reduce wrinkles within 8 weeks. The results are plumper, smoother skin. I have a specific fine line on my forehead that has annoyed me for a while so this is what I focused on watching for results and I have definitely noticed a huge difference, and it’s not only me that has noticed. I am getting compliments from so many friends on how great I am looking, which I am putting down to the condition of my skin. I have even noticed a difference in my nails which are quite weak, the whites have become so much brighter and stronger! No wonder it’s loved by the beauty editors of Glamour and Harpers Bazaar. It made Bazaar UK’s 10 Beauty Game Changers for summer 2016. Pure Elixir 01 is currently on offer here, buy 3 packs get 1 free (4 months supply £120) until 30th June 2016. *Pure Elixir 01 is not suitable for vegetarian or vegans as Marine Collagen is sourced from fish. First of all . . . don’t freak out from the name, you probably eat live bacteria most days in foods like yogurt and don’t realise it. Your system inside is made up of lots of different types of bacteria and you need to protect the good bacteria so it can look after your body. It helps to balance your system and neutralise inflammation which is a HUGE cause of skin conditions. Eczema, acne, rosacea and irritation are all caused by inflammation, so why wouldn’t you want to take probiotics or ‘live bacteria’ to help your body neutralise conditions like this. I am a cult follower of the beautiful Alessandra Steinherr, Beauty Editor of Glamour Magazine, on Instagram and after seeing her post about taking probiotics as skincare being the best advice she’d ever had I immediately though DURHHH why didn’t I connect this before?? I have always known and believed in the powers of probiotics for looking after your digestive system and making you feel less sluggish, but obviously looking after your digestive system will have a carry on effect to your skin . . . why oh why didn’t I realise this before. Having a healthy digestive system allows your body to absorb and process nutrients from your food and supplements. You could have the healthiest diet in the world and take lots of supplements, but if your digestive system isn’t working properly it won’t be able to absorb all the goodness you are putting in. And what does your skin need to be in it’s best condition . . . nutrients! So not only will Just For Tummies make sure my skin is in perfect condition for my make up free holiday, it will make sure my tummy is non-bloated and bikini ready AND protect my tummy from any nasty bacteria I could encounter while I’m away causing an upset stomach. It would be silly not to take them really! For a double dose of probiotics for skincare, look at one of my favourite skincare brands that combines an award-winning probiotic complex in all of their products. 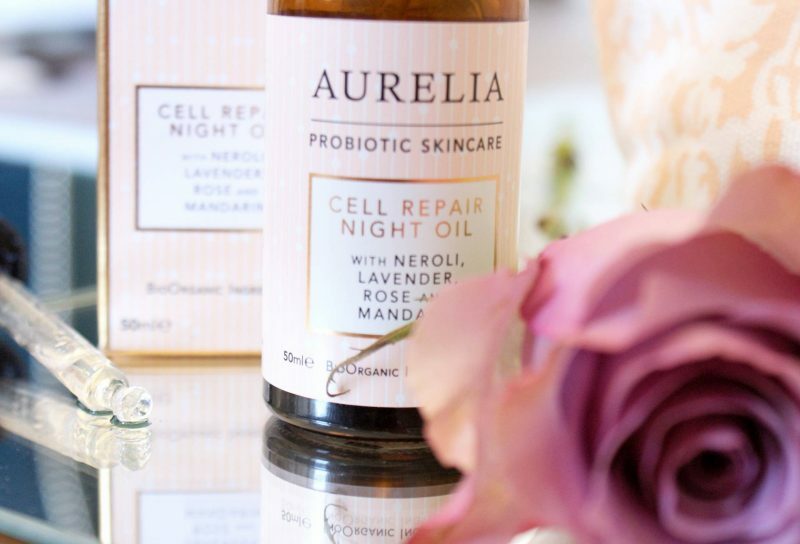 Aurelia Probiotic Skincare will also help to tackle skin inflammation from the outside (and all they’re products smell divine so it is like an at-home spa when you use these). I religiously use their Cell Repair Night Oil every night for it’s anti-inflammatory and anti-ageing powers. *I stand to earn a small amount of commission from purchases made at Myshowcase via my links.